This week sees the DVD release of BBC2's quiet comedy The Trip to Italy. The six-part series reunites, the brilliant Steve Coogan and equally brilliant Rob Brydon for another round of semi improvised comedy travelogues. In lesser hands the comedy could descend into half an hour of two men trying to outdo one another, but in the hands of Coogan and Brydon it feels effortless. The first series of The Trip saw Coogan being offered the chance to review restaurants in the Lake District for The Observer. He begrudgingly took Brydon along and it transpires that his friend actually ended up writing the majority of the reviews that Coogan then put his name to. This time it's Brydon, who is finding it tiresome being a father to a young child, who offers Coogan the chance to review six new restaurants that are all located in Italy. The first episode saw them review a restaurant in Camogli and visit Byron's former home in Genova. What I like about The Trip is that it works on so many levels whether it be two men trying to deal with the ageing process or just a couple of funny chaps trying to one up each other with their impressions. Indeed it is the impressions scenes that people will remember with the first episode's take on The Dark Knight Rises, and in particular Bane, being a personal highlight. But I was equally involved in the discussions regarding Brydon and Coogan's personal life and the fact that the latter doesn't get the attention from pretty girls in the way he once did. While the first series built up to a very fine performance of 'The Winner Takes it All' this series looks to see the comic duo tackle the work of Alanis Morrissette at some point. Long-time friends Coogan and Brydon bounce off each other perfectly in the lead roles as they play exaggerated versions of themselves. The DVD itself features deleted scenes and all six episodes. As I did with the first series, I wonder how much of their real characteristics they bring to their roles in The Trip. 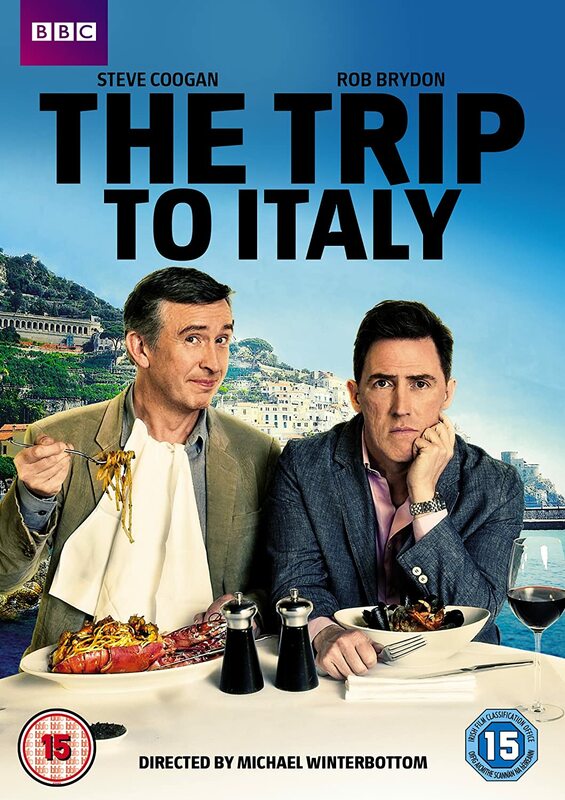 Director Michael Winterbottom makes the whole series a cut above a regular sitcom with the cinematography really capturing all that the Italian scenery has to offer. Whether the story can be stretched over another six episodes remains to be seen but, for now at least, The Trip to Italy looks to be as funny and poignant as its predecessor was.